World TB Day (24th March) commemorates the anniversary of Robert Koch’s 1882 discovery of the causative agent of tuberculosis (TB). Since then, it has been the subject of intense research, with hundreds of millions of dollars spent on TB research and development every year. Despite this, we still lack the antibiotics, vaccines and diagnostic tests needed to control the disease properly, and TB therefore remains a major public health challenge, particularly in developing settings like much of sub-Saharan Africa. 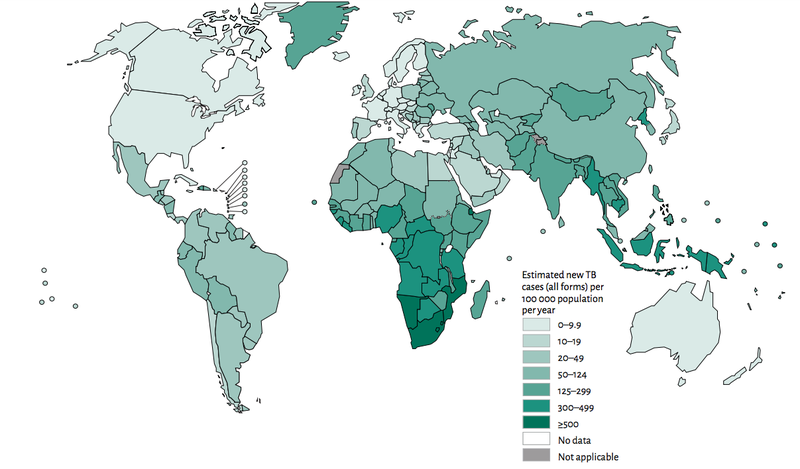 As of last year, TB is the leading cause of death worldwide due to an infection. Added to that, the WHO estimates that 37% of cases go undiagnosed or unreported, largely because of our ineffective, costly and time-consuming tools for diagnosing the disease. My work aims to address this by developing a test for TB that works in a completely different way to TB diagnostics currently in use. Instead of trying to detect the TB bacteria, I want to detect an individual’s response to TB infection. But just diagnosing TB isn’t enough – the test has to be fast, affordable and easy to use. When someone is infected with TB, certain genes are switched on to fight the infection, and other genes are switched off. The combination of ‘on’ and ‘off’ genes makes up a unique gene signature for TB, which can be used to diagnose the disease. Our current tools to measure the levels of these genes currently require highly trained personnel, bulky and costly equipment, and stable power supplies; not techniques you could imagine using in resource-limited settings. So we decided to look to emerging technologies, specifically nanotechnology, to detect these genes. 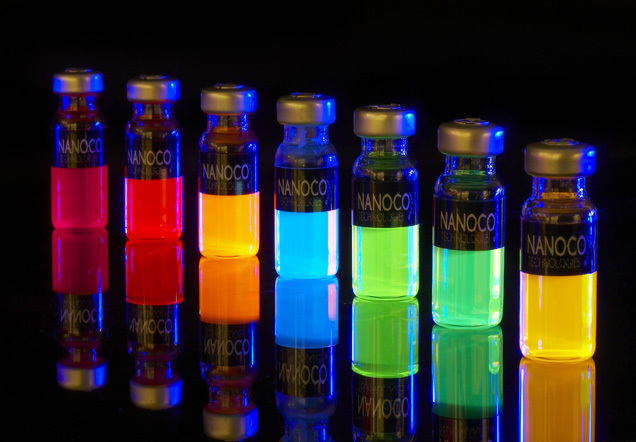 The nanoparticles I’ve been using, called quantum dots, are really promising candidates for use in diagnostic tests. This is mainly because of their fluorescence properties – they ‘shine’ really brightly at specified wavelengths (colours), and we can attach molecules to their surfaces to detect our gene signature for TB. We can also detect how brightly the quantum dots are shining just using a camera on a mobile phone, which opens up a whole possibility of a mobile-connected diagnostic test for TB. Most of my PhD has been spent developing a test for the genes using quantum dots, but I’ve also spent time validating the gene signature for TB to make sure it’s really robust. So over the last few years, I’ve worked closely with bioinformaticians, molecular biologists, materials scientists, and clinicians. Collaborating with people from such diverse backgrounds means I’ve had to get really good at communicating my ideas and work, which in hindsight has been a really useful experience. 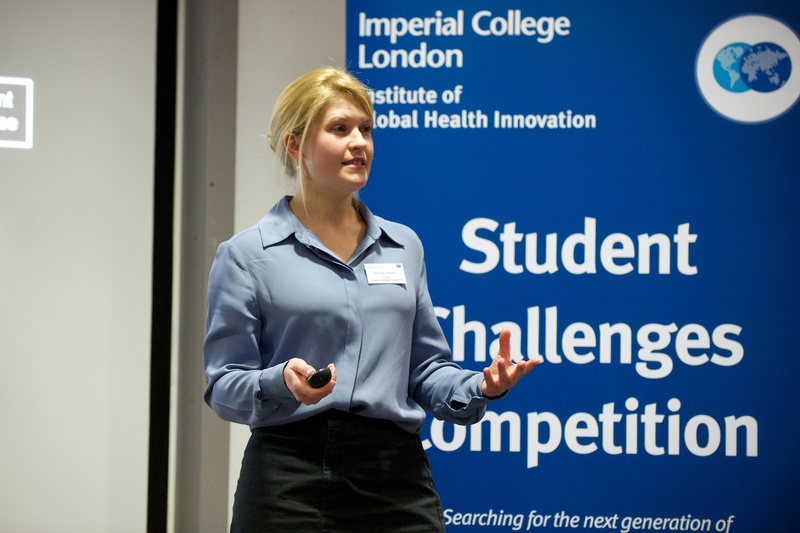 One of the reasons why I entered the IGHI’s Student Challenges Competition was that it would make me think about my work in an entirely different way. It’s far too easy just to focus on the details of how my assay works without considering how it will fit into the real world context of TB diagnosis. So putting together my application for the competition made me confront issues that had been in the back of my mind throughout my PhD but I hadn’t really faced head on. And of course, the opportunity of getting financial support to do this was very exciting. It’s often difficult to justify allocating funds to applied research or prototype design when they could be spent on more fundamental research (which could end up in my thesis or a journal article). The chance of winning £5,000 to put towards developing a prototype for my test was something I couldn’t let pass me by. Putting together my video entry in the first week of January when I was suffering from a cold and as a consequence was extremely bunged up was probably not the best idea, but by some miracle, I got through to the finals. Preparing my presentation for the Dragons Den made me realise just how little I really knew about the economic aspects of commercialising a diagnostic test. I had to research how large the market was for TB diagnostics, whether it was growing or contracting, and where in the world the biggest markets were. I also studied all the diagnostic tests that are currently being trialed or evaluated and are set to enter the market in the next few years. Doing all this really made me think about how the test I’m developing could fit into a wider picture of TB control. The presentation went reasonably well and the Dragons asked some probing questions, some of which really caught me off guard! The presentation went reasonably well and the Dragons asked some probing questions, some of which really caught me off guard! I was so relieved that I presented first though, as all the other pitches were fantastic – I don’t think I could have followed any of them! I was absolutely thrilled to win both the Video Competition and the ‘Global Health Innovator’ Award, and can’t stop thinking about all the things I’m going to do with the funding. I’ve already visited the Imperial College Advanced Hackspace to talk about doing some 3D printing, and have set up various meetings with potential collaborators. The theme of this year’s World TB Day is ‘Unite to end TB’. This is particularly apt for my work, as it has truly been a team effort. The gene signatures alone were the product of a decade-long study, involving hundreds of study participants and dozens of researchers in three continents. My work has only been possible because of my amazing colleagues and mentors. I strongly feel that the only way we can tackle TB is through multidisciplinary networks, collaboration and good old-fashioned teamwork. I’m incredibly grateful to the IGHI for this incredible opportunity and can’t wait to get started on designing that prototype! 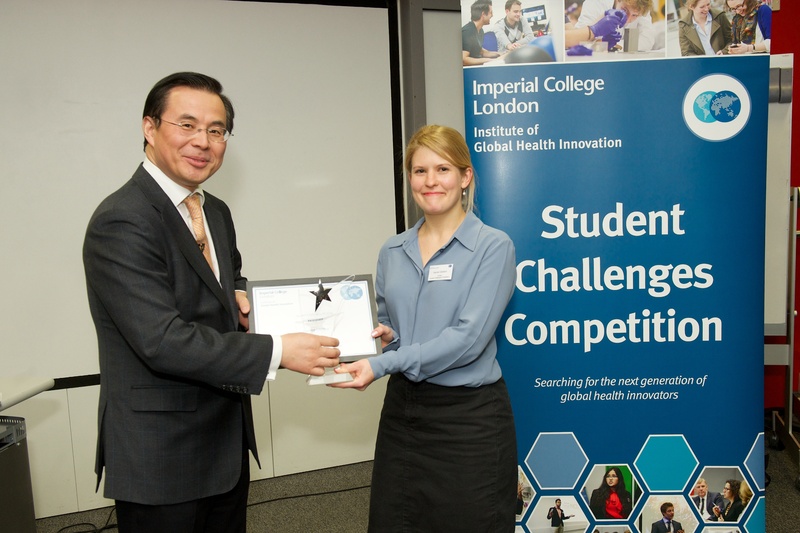 IGHI Deputy Director Professor Guang-Zhong Yang congratulates Harriet on winning the Student Challenges Competition 2015/16.